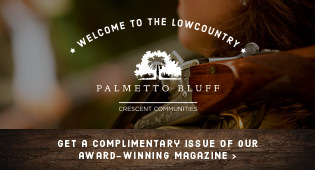 Hilton Head Magazines: CH2/CB2: He Said What! There are moments in parenthood when your children say things that make you want to crawl under a huge rock and hide. There are also things that your children will say that you are so proud of and you want to repeat it to everyone that will listen. Last week I took my son to his 8 year old check-up with his new pediatrician. We are new to the area and so this doctor had never met us before; therefore, she had to do an “interview” with my son. She asked him what kinds of food he ate. How many fruits in a day and how many vegetables he ate daily. I was hoping he would tell her what she wanted to hear. He didn’t. He told the truth. Then she asked him if he wore his helmet when riding his bike. “Yes. Mom makes me”. Yeah! One good point for mom. Then she asked about discipline. He looked at her like he really did not know what she was asking. She said, “When you get in trouble. How are you disciplined? Do you go to time out?” “No, my mom and dad just yell at me. You know, whaa whaa whaa! clean up you room, pick up your stuff, who do you think i am your maid?” Of course he said it in a shrilly voice mimicking me and he had on this straight face like he was not mocking me just answering the doctors questions. Out of the mouth of my own babe. I never thought of myself as the one with the shrilly voice. That is my mother! When I mimic her I speak that way. I guess I thought her words did not come out of my mouth; now I find out that it is not only her words but her voice, too!